I’m not quite done with the baby knitting. 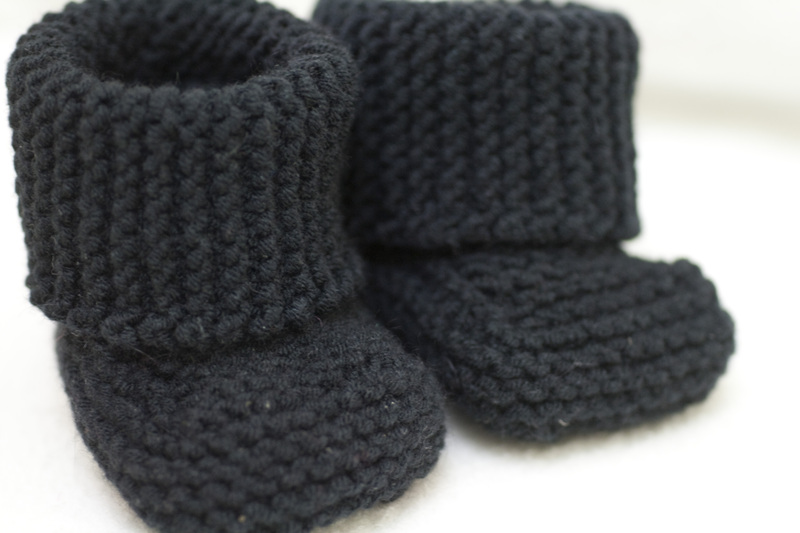 Here’s a recent FO for Nash, booties! Yes, I’m still using up the Bunny Hop. This and another project will be the last ones I think. I loved knitting this though, it was quick, easy and if it weren’t for the black yarn I could have done this in one sitting. I am not sure of the fit though as it seems one booty is smaller than the other. Or it could just be me. No matter, I think this will fit Nash for a couple of months at least. Notes: Piece of cake! Such an easy and enjoyable knit. No changes made. The ends were a bit of a nuisance though but it wasn’t so bad really. 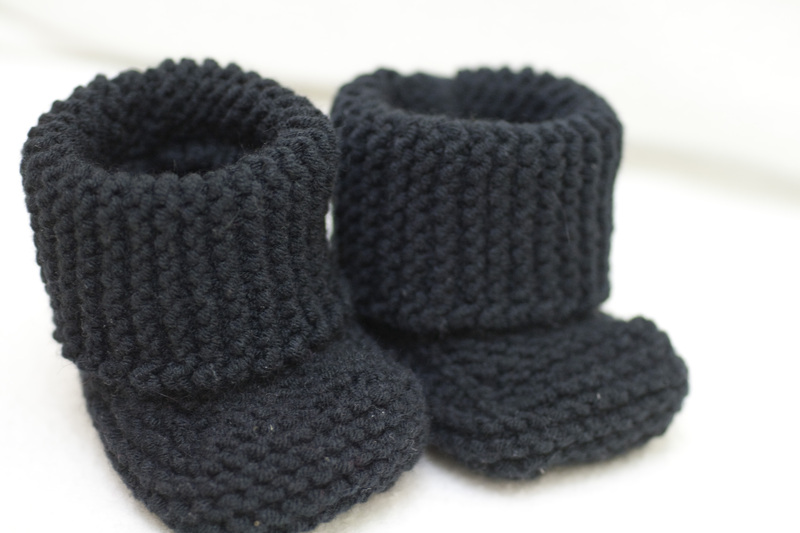 Cute, they will look like little boots on his feet!